This summer Welsh Government is helping to support 1,000 brand new apprenticeship vacancies for people of all ages across Wales. The vacancies, which will be posted on the Apprenticeship Matching Service on the Careers Wales website throughout the summer, will offer young people and adults the chance to secure an exciting career in a wide range of disciplines including ICT, creative industries, construction and STEM, where skill shortages are particularly prevalent. The job roles will all be apprenticeship opportunities with qualifications to match, with a particular focus on technical and professional skills. Some of the apprenticeships that are available now include journalist, associate scientist, quantity surveyor, ICT and computing, digital and marketing. 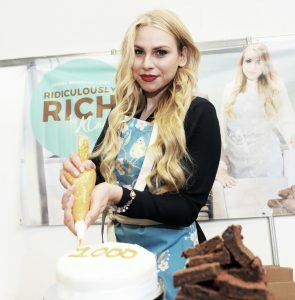 Alana Spencer, 25, winner of BBC One series, The Apprentice in 2016 is a supporter of the Welsh Government apprenticeship programme. She said, “Young people leaving school are so lucky to have so many opportunities available to them. Apprenticeships have so many great benefits and allow young people to kick-start a career in a field they love, while also gaining some fantastic experience and industry relevant skills and qualifications that will help them to progress their career in the future. “When I left school at 16 I was adamant that I didn’t want to follow the traditional university route into a job. I also didn’t know anything about apprenticeships at the time so didn’t even consider them as a possible avenue into becoming a chocolatier. “When I was first starting out I had no-one to teach me so I spent my days learning how to cook by practising and perfecting recipes at home. I would then road test them with family and friends as well as at local events. Wales has developed a highly successful apprenticeship programme over recent years. Apprenticeships are increasingly becoming a viable alternative to traditional academic routes into employment, helping people of all ages gain on the job experience while studying for a nationally recognised qualification. With results day around the corner, the Welsh Government is urging people in Wales to consider how an apprenticeship can be the first step of a worthwhile, skilled career path. Minister for Skills and Science, Julie James, said: “Apprenticeships are the start of an exciting and rewarding career and can benefit anyone of any age, giving them an opportunity to gain practical, on the job experience while gaining all the skills and qualifications they need. “Apprenticeships are a key investment for employers who can train their workforce in the specialist skills they need within their organisation. Overall, apprenticeships play an important role in increasing the nation’s overall skill set and driving economic growth, making sure that Wales remains competitive on the world stage. “The Welsh Government is working in conjunction with training providers across Wales to highlight 1000 apprenticeship vacancies in organisations from various sectors within small SMEs to larger global conglomerates over the summer period. “The job roles available offer all the benefits of an apprenticeship with qualifications to match, and there is a particular focus on improving technical and professional higher level skills. The Welsh Government is rebalancing its investment towards the priority areas that deliver higher returns and the range of opportunities that will be available over the summer reflect this. For more information about becoming an apprentice, visit careerswales.com and following the apprenticeship link or to find out how your business could benefit from recruiting an apprentice, visit Skills Gateway for Business at https://businesswales.gov.wales/skillsgateway/apprenticeships or call 03000 6 03000. Also find us on Facebook at www.facebook.com/apprenticeshipscymru and on Twitter @apprenticewales.